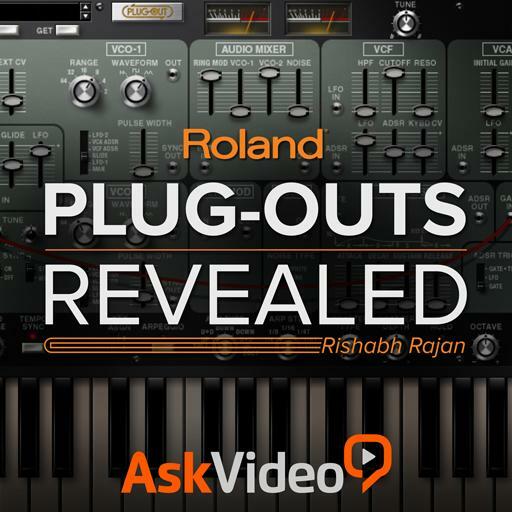 Roland PLUG-OUTS 101 - Roland PLUG-OUTS Revealed. On the System 100, when Signal Flow is ON, the orange arrows show the normalled signal routing. True or false? How many VCOs are there on the SH-2? How to create a blip-type sound? On the System 100, Key Assign set to 2 will give a last note priority. True or false? The LFO can be used to trigger the Amp. True or false? The original Promars was considered a commercial success for Roland: True or false? The Roland SH-101 was unleashed in ....? Tempo Sync will sync Delay Time & LFO rate to the DAW tempo. True or false? How many VCOs does the system 100 have? The SH-101 came in .... different colours? The SH-2 was released before the SH-101: True or False? The System 100 consisted of how many unique modules? Did the Roland SH-101 have MIDI support? The Pitchbend Range parameter can be set up/down _____ semitones. The 2nd Oscillator on the Dual VCO has independent control for which one parameter? On the System 100, which waveform is NOT a VCO wave shape? How many software synths are covered in this course? How can you get last note priority on the SH-101? Positive Auto Bend amount will accentuate the attack of the sound. True or false? On the SH-2, it's possible to have negative Auto Bend. True or false? The SH-101 plug-out doesn't have a sub oscillator. True or false? What were the other two synths that was released by Roland in the same year as the PROMARS? Which parameter CANNOT be modulated by the LFO? LFO Bend gives a range of offset values to the rate of the LFO. True or false? The S&H clock out can be used to trigger the Amp Envelope. True or false?